Joachim Loew says that it is highly probable that he will remain in charge of National Team – Can You Hear Us Now? Germany manager Joachim Loew says that it is highly probable that he will remain in charge of the national team for the World Cup 2018 as well. The former assistant coach has been in charge of the national team since 2006. It has been quite a long while, as he just completed 10 years in charge. There have been numerous disappointments along the way, but the World Cup 2014 success has ensured thatLoew gets another crack at defending the title. 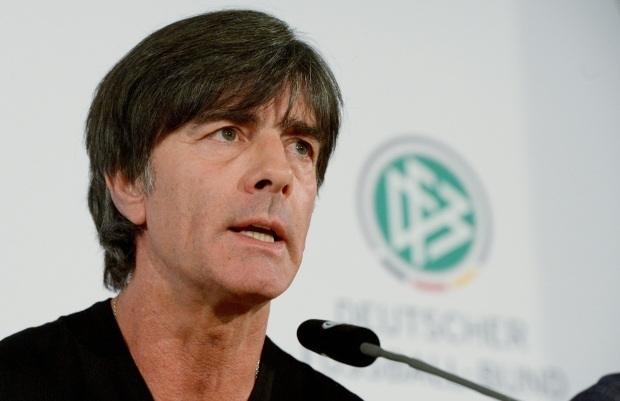 Over the years, there have been speculation aboutLoew quitting the national team to focus on club career. Loew largely has experience of managing clubs like Stuttgart, Fenerbahce, and Austria Wein. Talk about his future has started only because of the national team’s failure to win the European Championship. Germany were knocked out of the Euro 2016 at the semi-final stage. His existing contract still has two years to run, but the poor showing at the Euro 2016 may cost him the job. It has turned out to be false, asLoew remains confident of being in charge of the team for the World Cup 2018 in Russia. Preparations to qualify for the World Cup begin with a friendly against Finland in September. Germany’s group opponents in the qualification group include the likes of Czech Republic, Northern Ireland, and Norway. “We were all obviously disappointed after the semi-final, the weeks before and during the tournament were good.Despite our disappointment the team did not disappoint, we were the youngest team in the tournament.I see still great potential, I am sure they will give us much pleasure.My ambition still remains high and that is to work with those players and to develop them with a view to the 2018 World Cup in Russia,” said the Germany national team boss.